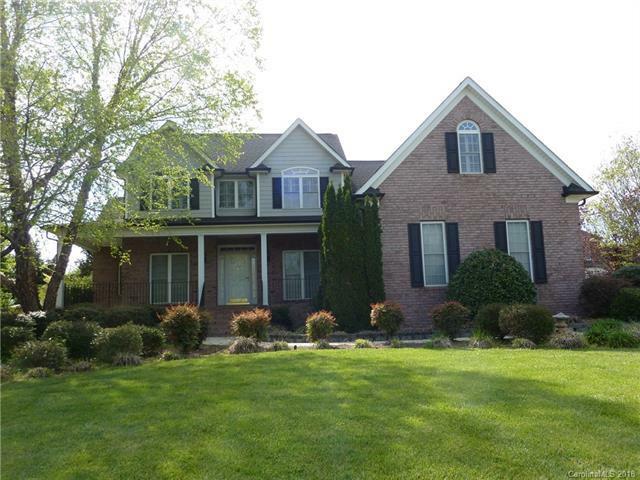 Well maintained full brick home with 5 beds, 2.5 baths & 3 car garage. The 1st floor owner's suite with trey ceiling, arched doorway, walk-in closet, jetted tub, stand up shower, water closet and more! The 2-story great room has a gas fireplace along with open catwalk with updated wrought iron spindles is a great place to entertain. The kitchen has granite counter tops, tile back splash, slate floors,gas stove/oven along with a bright breakfast area from the the bay window. The closet space in the home is incredible too! This home has a private patio with wrought iron fences yard and a hot tub! This home also has a whole yard irrigation system that is on a well-water. Great Harrisburg schools and close to 485 & UNCC! Sellers is offering a home warranty from America's Home Warranty for $465 with accepted offer! Come take a look, you won't be disappointed!! Sold by Millen Realty & Prop Mgmt Inc.